Mike Morin and Amanda Peterson spend most of their days moving mountains, one boulder at a time. Veteran climbers, this husband and wife travel the country as the Access Fund-Jeep Conservation Team. Founded in 1991, the Access Fund is a national advocacy group that conserves climbing areas and now represents more than 6.8 million climbers around the country. 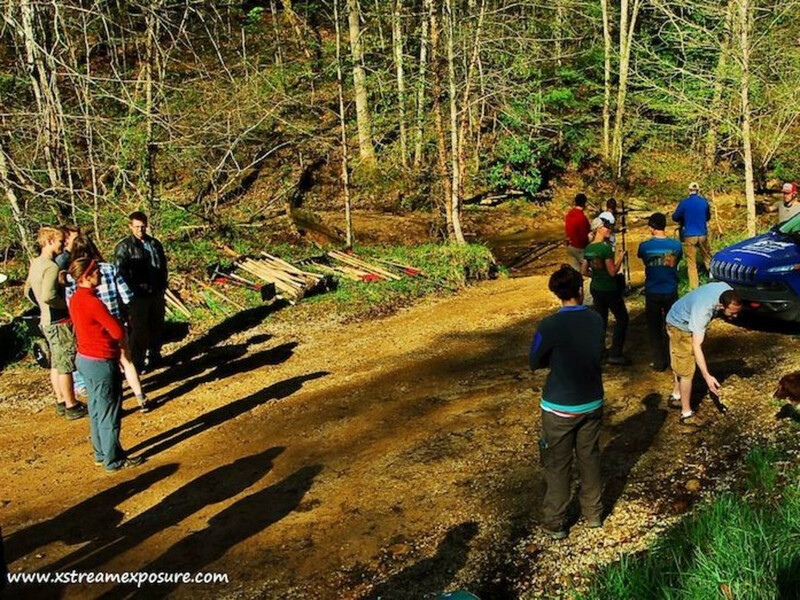 The organization works to keep climbing areas open on private and public land and to conserve the climbing environment in all forms of the sport – rock and ice, mountaineering and bouldering. Morin and Peterson have covered nearly 21,000 miles in their Jeep Cherokee Trailhawk this year, spearheading dozens of projects, teaching about trail sustainability, and leading hundreds of volunteers on the ground. Their goal: improving or creating environmentally sustainable climbing areas around the country. 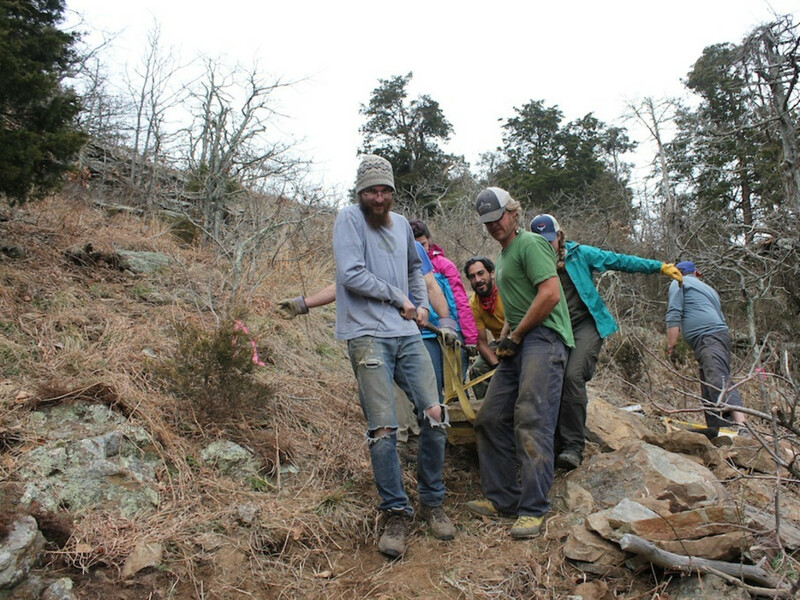 Last year, the Access Fund sponsored 180 Adopt a Crag stewardship days, with volunteers working on trail rehabilitation, removing weeds and litter, and restoring vegetation at climbing areas. Its Conservation Team is just one of its hands-on programs. Morin and Peterson, both 33, love climbing and they know that their perfect climbing day – one with “blinding sunshine, blue skies, birds singing,” says Morin – wouldn’t be possible without the approach. Managing the route to the climb protects the approach from erosion, vegetation loss and routes that are badly designed or have shifted from the original intended path. That’s why the Conservation Team spends most days on the ground; moving rocks, building steps and bridges, and making the trails to climbing areas safe and sustainable. 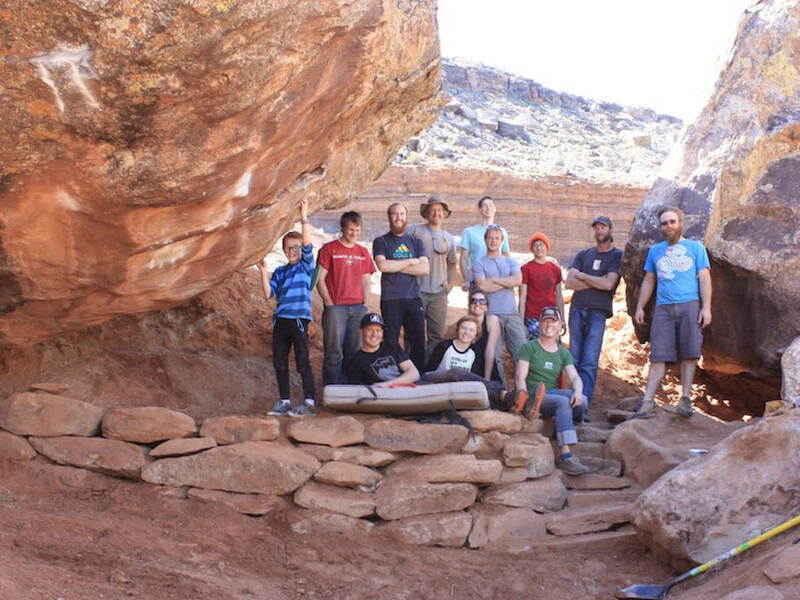 Throughout the past year, Morin and Peterson have passed on their trail building knowledge to climbing groups and volunteers around the country, and they say each project has also taught them something new. Morin and Peterson know their way around Pulaskis and rock bars. Morin grew up in Maine and graduated from the University of Maine with a degree in parks, recreation and tourism. He moved to Colorado in 2005 to work as a park ranger and then as a recreation manager. “My job allowed me to combine my work with my passion for climbing,” he says. Peterson is a Chapman University graduate with a degree in sociology. She’s a Colorado native with a background in environmental education, and she has spent years on trail work crews. Morin was introduced to climbing in college, and says when he moved to Colorado, climbing became an obsession of his that he shared with Peterson. Married for six years, they say the Access Fund positions allow them to pursue their passions. They have learned to love their nomadic lifestyle. “Back home” is a pickup truck with a topper parked in Colorado. They love the way each day holds some new experience or new lesson. Climbing as a sport has exploded in popularity, both indoors and outdoors. So the gym component, where Morin and Peterson meet with many people who are relative newcomers to the sport, is an important part of the Conservation Team’s work. “In the past, people discovered climbing through their love of the outdoors,” Morin says. “Now, people are discovering the outdoors through their love of climbing. 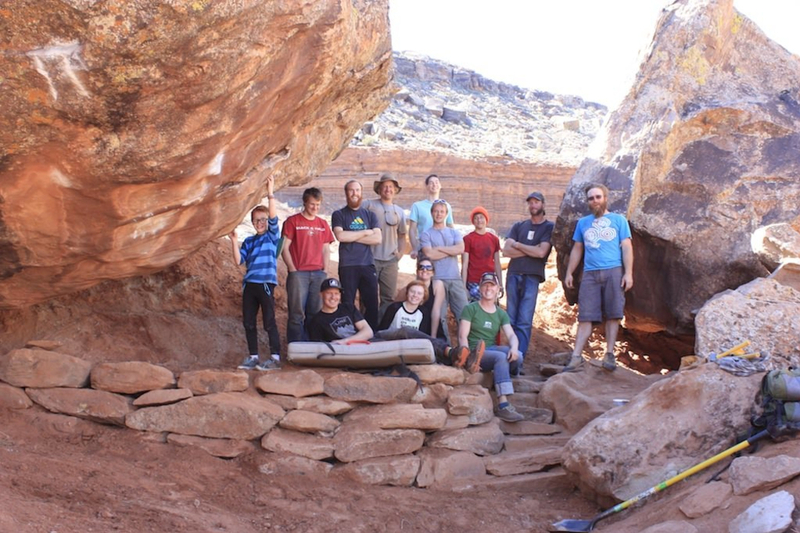 Their year has been impressive – to date, they have worked in 18 climbing areas in 13 states. 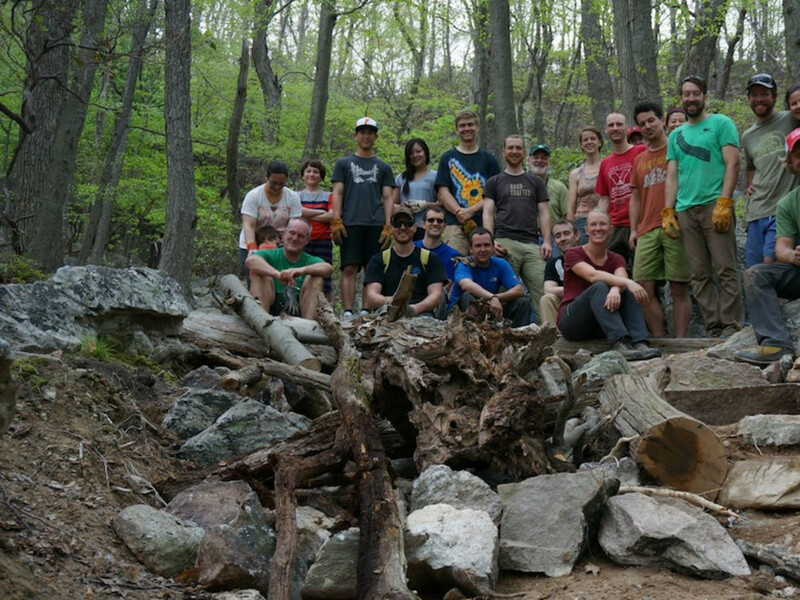 With volunteer groups, they have pulled on their gloves and built more than a mile of new trail and created 14 stone staircases, 32 drainage ditches and ten retaining walls. They’ve rerouted trails to eliminate 800 feet of social trails. They’ve visited 13 climbing gyms on their road trip and represented the Access Fund at nine differnt festivals. Along the way they’ve cleaned up graffiti and picked up trash. Visit the Access Fund to learn more about their mission and the Conservation Team’s next project.